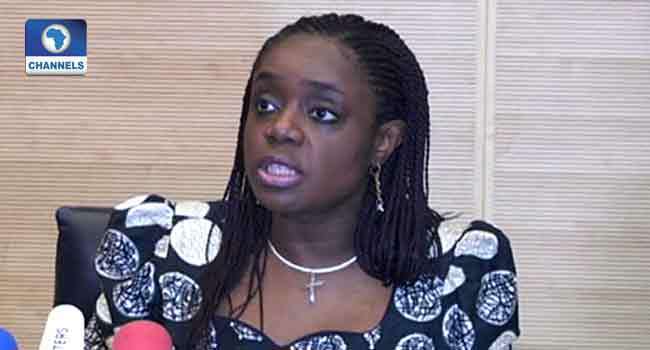 The Minister of Finance, Mrs Kemi Adeosun, has approved the reassignment of portfolios in the Securities and Exchange Commission (SEC) and the appointment of Ms Mary Uduk as the new Acting Director-General of the commission. Special Adviser on Media and Communications to the minister, Mr Oluyinka Akintunde, revealed this in a statement on Friday in Abuja. According to the statement, Uduk’s appointment is governed by the provisions of the Investments and Securities Act (ISA), 2007 and the conditions of service applicable to the Director-General of the Commission. In a letter dated April 13, 2018, Adeosun explained that said Uduk’s appointment became necessary to ensure effective regulation of the Capital Market. She added that the appointment would, subject to satisfactory performance, subsist until further notice and further announced the redeployment of the former acting Director-General of SEC, Dr Abdul Zubair, to External Relations Department. Other reassignments approved by the minister include Reginald Karawusa (Acting Executive Commissioner, Legal and Enforcement), Isiyaku Tilde (Acting Executive Commissioner, Operations), and Henry Adekunle (Acting Executive Commissioner, Corporate Services). Meanwhile, the Ministry of Finance has requested for a formal explanation from the SEC of its recent communications with the Nigerian Stock Exchange (NSE), which allegedly impacted market confidence adversely. Uduk joined the SEC in 1986 as an assistant financial analyst and her career as a regulator has spanned many functions and departments in the Commission, from corporate finance, administration, to providing structural, policy and due diligence for capital market transactions. She has also been responsible for managing several landmark capital market projects, including the registration of Capital Market Operators, articulating rules for bonds and equities; Mergers, acquisitions and Takeovers, and managing the banking and insurance industry consolidations between 2005-2007. The new acting DG served as the pioneer Head of the Operations Division in the Lagos Zonal Office, and has headed a number of departments in the commission which include Internal Control, Investment Management, Financial Standards and Corporate Governance and Securities, and Investment Services Department, among others.